📓 Entry # 19 — We’ve got a plan! After Chiang Mai I felt like a new person. I think it was the comfortable living + amazing food + a lax work schedule. We’d wake up, go to a cafe or co-working space and do some work on our projects. Then eat and maybe go do something like watch the new Avengers for a date night (staying relevant😜) or walk around the old part of town, take a cooking class, visit some temples or enjoy the night markets. Traveling this way was nice for a change — feeling less rushed to see everything and more present in a routine and aware of what’s around you. It also gave us time to talk about what we should do next. We both agreed that ending our trip early would feel like giving up (which we both knew we would regret), so we decided to move ahead with our next destination. While we were researching Nepal, we had so hoped to go hiking and camping in the Himalayas — but after a ton of research realized now is the worst time of year to go due to monsoon season(Oli was heartbroken). Then we explored China to check off my goal do seeing Disney Shanghai and completing my worldwide park visitation however, have to postpone due to visa requirements in China (they require all past tourist visas to China with you… mine is in a box somewhere buried deep in Calgary or Montreal). 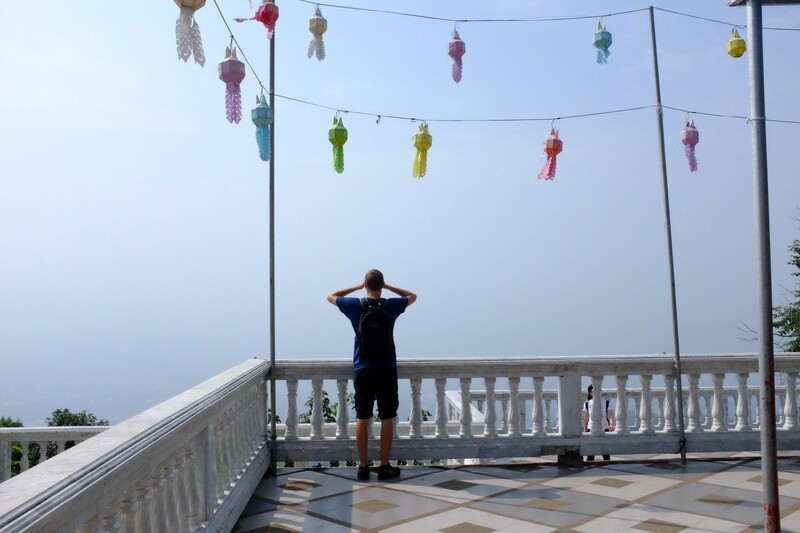 Then India was next on our list and sounded like an incredible adventure but after the advice of every person we’ve ever know that has visited or lived in India said June/July is the worst time to go and won’t be enjoyable at 50+ degrees every day…. So Africa sounded right — we tried to extend our insurance but got a response the same day the Canadian government posted a no travel advisory for Egypt and suggested strong caution for bordering countries due to terrorist activities and unsafe travel. Then we thought maybe trying a Safari but with such short notice, we are running in blind to the most expensive time of year with the great migration. After all these roadblocks we were a bit sad. But the more we had the time to process..… we’re young, adventurous and realized that all this means is we have more destinations to look forward to in the future. We landed in Bali a few days ago and I was/am/is SO excited to be here. My family has ties here and I had a list of things I wanted to eat, while I knew Oli would make one quickly for things to do including some world class scuba diving. So we’re hang here for a bit, oh and our friend Marky-Mark from New Zealand is coming to visit!! Life is so good, we’re so lucky. After that, we just booked our flight from here to Europe June 6th.